As an FSD volunteer, you will touch the lives of clients, families, and dogs, and play a vital role in helping us fulfill our mission. Dog care and enrichment, office help, special projects, group volunteer days. Puppy-Raising Club, fostering opportunities, speakers bureau, special events, research projects, donation drives, third-party fundraisers, and more. Join us as a regular volunteer or foster. We offer a wide variety of opportunities to help, and our scheduling is flexible. Attend one of the volunteer orientations at the link above. You’ll learn about our organization, training process, clients, and volunteer opportunities to find out if we are a good fit for you. Complete an online application and background check ($18 fee). The application link will be provided after orientation. Volunteers interested in Dog Care and Enrichment and Foster assignments will be required to attend the corresponding class. To foster a dog, you must attend both classes. The link to register for this class will be provided after orientation. Upon the completion of the Dog Care and Enrichment class, all fosters will be asked to complete dog walking and dog body language for fosters classes before attending the foster class. All members of the household that are over the age of 18 must also complete the volunteer background check. As a PACFA certified organization, we must conduct an annual home inspection. We ask that volunteers work an average of four hours per month in some capacity. For onsite volunteering, shifts are flexible and are available during these times: Monday-Thursday 9 am to 7:30 pm and Friday-Sunday 9 am to 3 pm. Weekend volunteers primarily focus on cleaning kennels and other kennel projects since most of our dogs go to foster homes on the weekends. Volunteers typically do not train our dogs. You will learn basic commands and rules to follow while you play with and walk our dogs. As you become more involved, you will have more opportunities to learn about our dog training. Once you have completed 24 hours as a Dog Care and Enrichment volunteers, you will be eligible to take additional dog walking classes. The goal of these classes is to give volunteers the skills to consistently reinforce training while walking. As you successfully complete the skills assessments associated with each class, you will be able to take dogs for walks on nearby trails. Volunteers age 16 or older can volunteer without an adult. Youths between 12–15 years old can volunteer onsite with an adult, but both adult and youth must attend Dog Care and Enrichment training. The adult must control the leash. The youth can play with the dog in the play yard off-leash. :All volunteers age 18 or older are required to complete a background check. The check is performed by an outside company and costs $18. Freedom Service Dogs reserves the right to deny any and all volunteer opportunities to an individual based on the results of their background check and/or admitted convictions. Under no circumstances do we accept volunteers who have felonies on their record, nor do we accept volunteers with violent crimes, crimes where the victim(s) belongs to vulnerable populations (including children, animals, adults with mental or physical disabilities, and others), or crimes involving theft of any kind. Other convictions and charges will be reviewed on a case-by-case basis. Organize your business, club, school, or church to come and help for a half day! Thank you for your interest in supporting Freedom Service Dogs by volunteering with us! 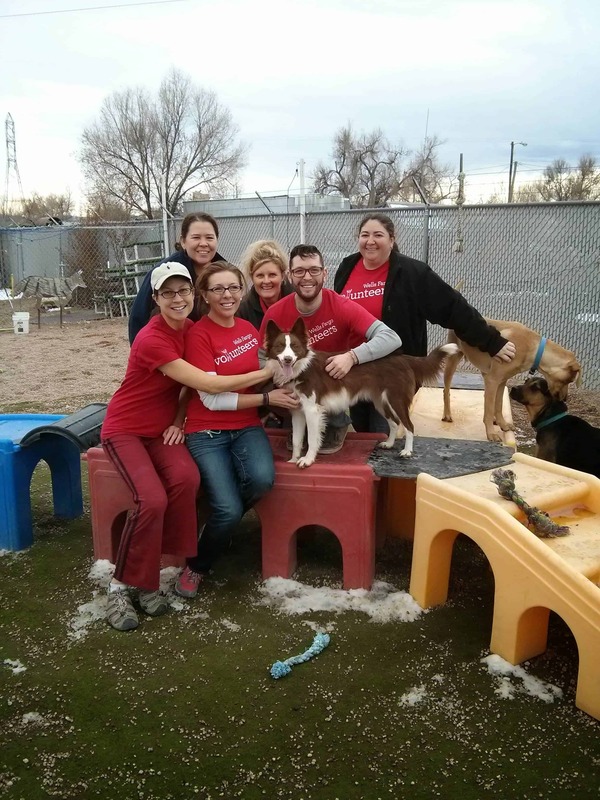 Many groups that have volunteered here in the past have helped us in exceptional ways: changing out pea gravel in the play yards, helping with building maintenance, assisting in the kennels, and so much more! Volunteer groups assist with duties like (but not limited to) cleaning kennels, folding laundry, sweeping/mopping, power washing, and more. Special projects are available throughout the year. The primary activity will not involve direct interaction with dogs; however, we try to end group volunteer sessions with some time to interact with a dog. Group volunteer shifts are between 9 a.m. and noon. We ask for a minimum two-hour commitment. If your group is interested in volunteering, please let us know at least one month in advance (we often schedule groups two months or more in advance). The minimum age for volunteers is 12. Volunteers age 12–13 must be accompanied by adults in a 1:1 ratio (one adult for every one child). Volunteers age 14–15 must be accompanied by adults in a 1:2 ratio. Freedom Service Dogs staff members or volunteers do not count toward this ratio. Please seek prior approval for groups larger than 10. Each volunteer must individually complete a Volunteer Release before participating. If a volunteer is under age 18, the release must be signed by a parent or guardian. Volunteers should bring water or other drinks. Volunteers must wear closed-toe shoes or they will be unable to participate. Please dress in clothes that you do not mind getting dirty. This program is designed for short-term volunteering to meet court-ordered service. This program is designed for adult court-ordered service. Please community service application and contact Ryan to schedule an orientation. Please keep in mind that we are a tremendously popular placement for community service, so we may not be able to accommodate your first choice for date or time. Please plan to bring all of your paperwork on the first day. Community service shifts are available on a first-come, first-serve basis seven-days a week from 9am to noon. These shifts include duties like, but not limited to, cleaning kennels, folding laundry, sweeping/mopping, power washing, and more. The primary activity will not involve direct interaction with dogs. 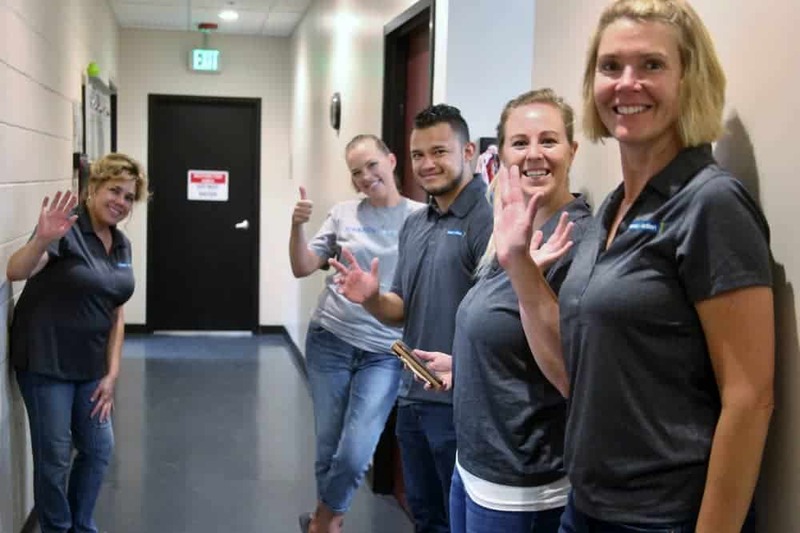 We do not accept any community service workers who are serving for a felony offense, any violent offense, offenses where the victim(s) belong to vulnerable populations (including children, animals, adults with mental or physical disabilities, and others), or crimes involving theft. We reserve the right to accept community service workers on a case-by-case basis. We also reserve the right to terminate the community service relationship if the worker is being disruptive to our daily operations (i.e., constantly late, missing a shift, being rude to volunteers/staff/dogs, etc.). Persons released from our community service program are responsible for finding a new community service placement on their own. Help raise and train a puppy for one of our clients in need! 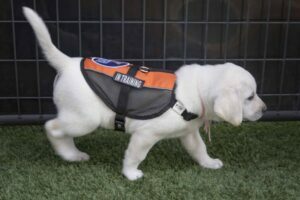 Freedom Service Dogs is seeking local, dedicated volunteers to join our new Puppy-Raising Club and help train the next generation of Freedom Service Dogs. NOTE: This opportunity is available only to residents of the Denver metro area. If you live outside metro Denver, please share this opportunity with family and friends that live in the area. Thank you! As a volunteer puppy raiser, you’ll be responsible for training a puppy in basic obedience, house manners, and socialization through exposure to many different kinds of people, environments, animals, and vehicles. 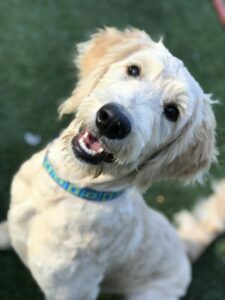 You will raise the puppy at your home until they are 13 to 15 months old, at which point they will return to FSD for custom training and placement with one of our clients in need. 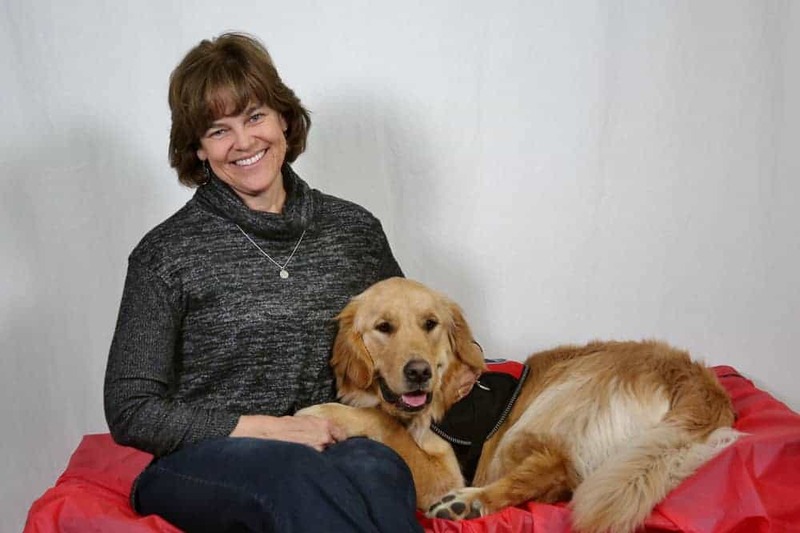 Best of all, you’ll see the heartwarming results of all your hard work at an FSD graduation ceremony, where our client and the service dog you helped raise will officially start their new life together. As a volunteer member of our Puppy-Raising Club, you’ll receive special training, continuous guidance, and ongoing support. FSD has created a comprehensive puppy-raising curriculum, including training requirements and milestones for volunteers to meet along the way. As part of the program, puppy raisers will be required to bring their puppies to FSD each month for training, evaluation, and feedback. You’ll also be required to participate in one monthly outing with other puppy raisers. We need foster volunteers, too! 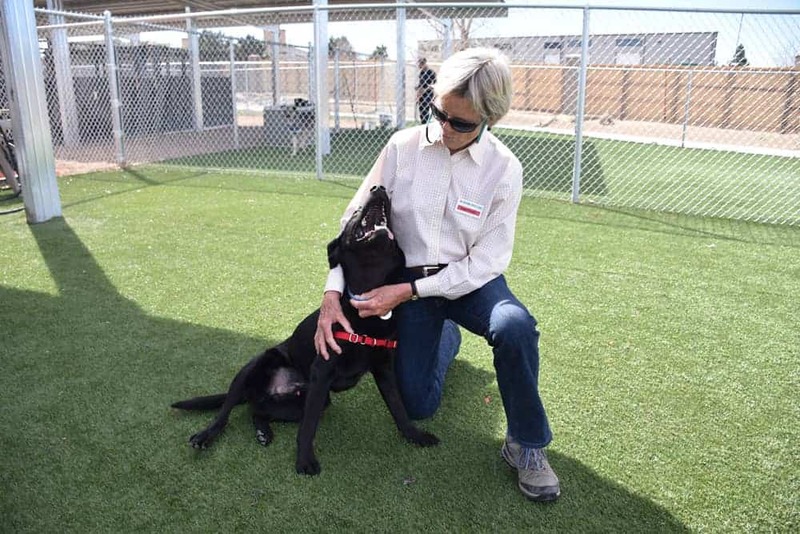 Freedom Service Dogs is also seeking weekend and long-term foster volunteers to give young-adult and adult dogs a break from the shelter during training. 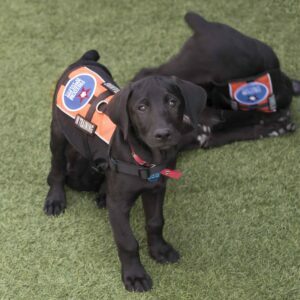 All puppy-raising and foster volunteers must complete basic volunteer orientation and training at Freedom Service Dogs, in addition to special training. To learn more about our Puppy-Raising Club and foster program, contact us at volunteer@freedomservicedogs.org or 303-922-6231. Donation drives are a great option for those who want to be involved with Freedom Service Dogs but are unable to volunteer regularly. What is a donation drive? A donation drive is run by a person or group of people for the purpose of collecting highly desired items from our wish list. This list includes supplies, gift cards, and “dream” items, such as computers and cleaning equipment. We love donation drives because they allow people to contribute practical, useful goods to FSD and see their donations literally at work. How does Freedom Service Dogs support donation drives? Freedom Service Dogs is always happy to advertise your donation drivethrough our website, social media, and newsletter (if applicable). This sounds like a great option for me! Who do I need to contact? Thank you for your interest in helping FSD! Please click here to fill out our form and we will get back to you shortly. We appreciate your support!